View all vacation rentals in Carolina Beach, Kure Beach, Holden Beach, Wrightsville Beach, Surf City and Topsail Beach. Ocean front vacations rentals with direct ocean views and access to the beach. Ocean front and ocean view vacation rentals with pools in Carolina Beach and Kure Beach. Indoor pools, community pools, and private pools. 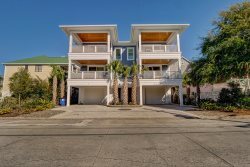 Single family vacation rentals in Carolina Beach, Kure Beach, Wrightsville Beach, and Surf City. Here are some vacation rental options if you have a lot of people in the group or have multiple families. View all vacation rentals in Carolina Beach including ocean front rentals, ocean view rentals, and vacations rentals with pools. Search for Wrightsville Beach vacation rentals with amazing ocean views. Book your next vacation rental at Wrightsville Beach NC. View all vacation rentals in Kure Beach including ocean front rentals, ocean view rentals, and vacations rentals with pools.